Prophet Muhammad's Birthday is celebrated on the 12th of Rabi al-Awwal (third month of the Islamic Calendar) for Sunnis the and 17th for the Shia. The dates shown are Gregorian (Western Calendar) dates for the Islamic dates of the 12th of Rabi al-Awwal. The day honors the birthday of the Prophet Mohammed. This purely religious holiday is celebrated with the reciting of scripture from the Koran as well as some religious lectures. It is a public holiday in Egypt that most people get off. 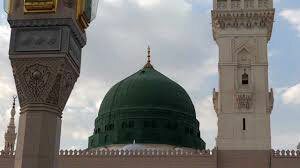 The base of the holiday starts with the fact that Prophet Muhammad was born on 12 Rabiulawal in 570 AD. Early celebrations of this day were seen in 8th century Mecca when the people turned the place where he was born into a place of worship.